The story of a Nomadic English Manager looking to make his name in the footballing world. @MGriffin2012 I really hope so! I would be thrilled if we could get there – will have to keep players as fit as possible though! @Justice A fantastic season thus far, long may it continue! I love the idea of being in control rather than having to rely on other results! @ScottT Amazing right? The only competitive game I have lost has been to Bournemouth – an acceptable defeat in my eyes! 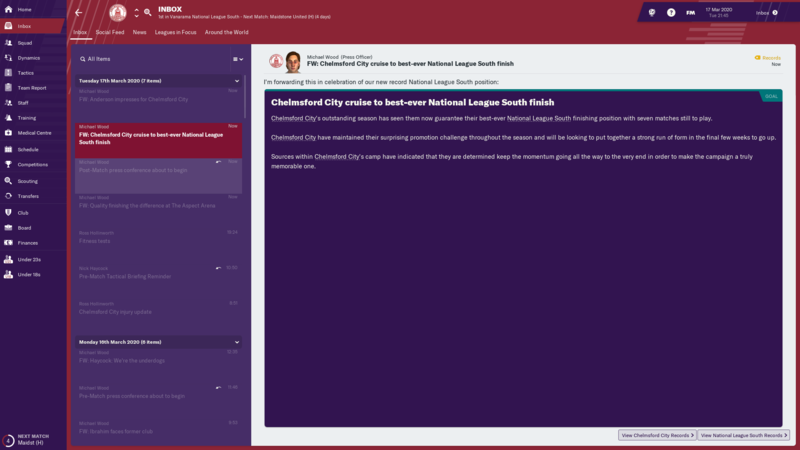 It is perhaps no surprise to anyone who has been following my season that this year has been ‘pretty good’ – in fact, this season has been the best League Finish for Chelmsford City ever! I am actually pretty proud of that, and am excited to see how things could progress; mind that I do not plan on being a one-club manager. Whilst this success is fantastic, the most exciting aspect of March is the two games against Maidstone United in the FA Trophy Semi-finals! Maidstone themselves are sitting top of the Vanarama National League and are looking good to be playing in League 2 next season. This means this tie is going to be extremely difficult! With the first game at home, we were going to need to try to use the home advantage to try and carve out a good position going into the second leg. Sure enough, Maidstone took the lead, going ahead in the 32nd minute. 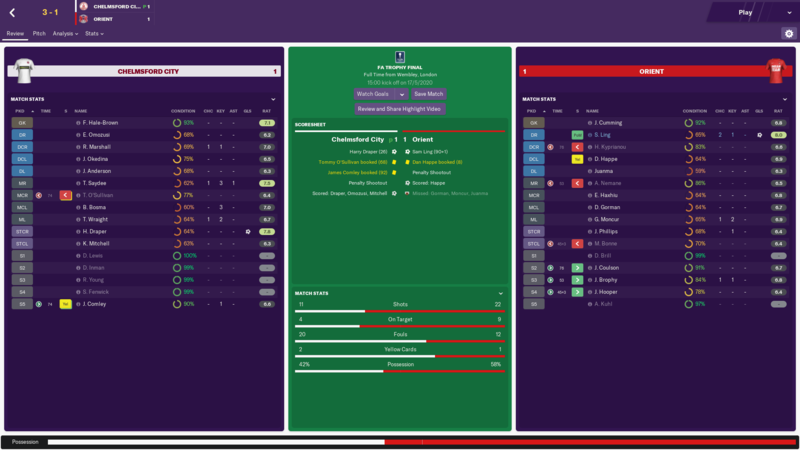 Our super-star loanee, Draper, levelled things up before half-time and, to mine and the fans amazement, Mitchell put us ahead in the 82nd minute before the team dug deep and held on right until the final whistle – a 2-1 victory in the bag! The second leg came all too quickly, we decided to play more defensively, though this saw us conceding just as half time approached. The second half was a lack-lustre affair. 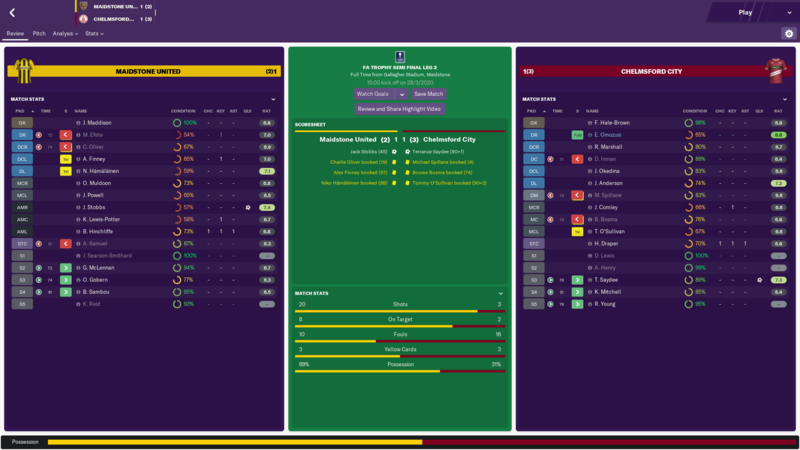 Unsure whether the away goal rule is something that would come into play in the FA Trophy, I changed the teams tactics, pushing everyone forward and playing extremely aggressively for the last 15 minutes. A couple of attacks nearly sunk us, however another fantastic player this season (Saydee) knocked the ball home in the 91st minute, earning us the draw, and ultimately a semi-final victory. Our final game, the final of the FA Trophy, will be against Leyton Orient, another fairly high flyer in the National League. With the end of the year in sight, and incredible performances thus far, the board saw fit to offer me a new contract (until the end of next year) – with an additional £150 per week! 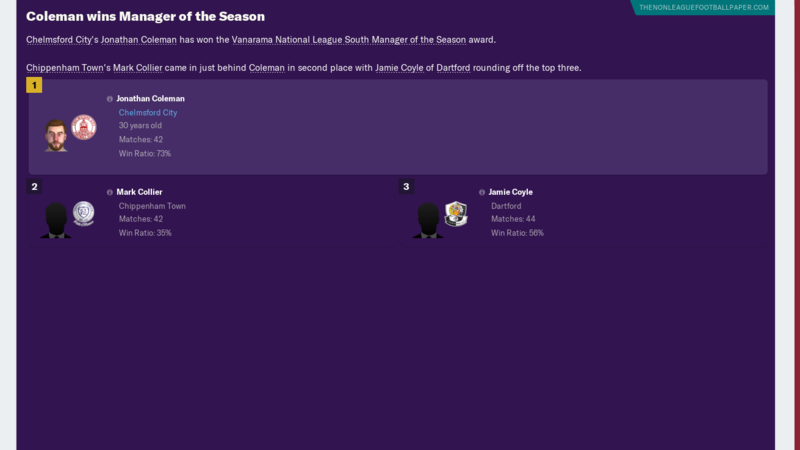 Again, I found the manager of the month award coming my way! 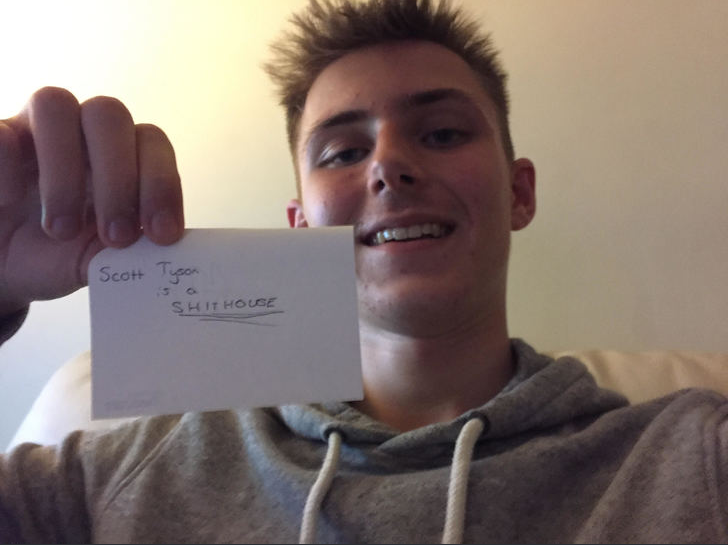 Winning all of my league games in March. From the schedule you can see that we have just 6 league games remaining – 18 points, the same margin I was leading the league by last month…so…I think you know what that means…. WE HAVE WON THE LEAGUE!!! What a fantastic season! It isn’t even over yet, but now I can certainly begin looking at next season! Annoyingly, the team is still unbeaten in the league, this brings with it an additional desire – what if we can finish the season without being beaten? The day we do lose will be the day I begin experimenting with the squad ready for next year! Fantastic, fantastic, fantastic! Everything is going amazingly well and it's great to see you finally gain promotion. The clubs will certainly be casting an eye towards yourself now after such an incredible season in the league, as well as the FA Trophy. Winning that competition will only continue to add to a list of reasons as to why you are the right candidate for any job! Incredible work, mate. Now is the best time to improve your squad to take it to the next level! @ScottT @mGriffin2012 @Justice - Thank you all for your continued support this season! I am a little less optimistic about next season that you folks are but fingers crossed! @Jack Definitely! I think it is going to be tough as we will lose a few players at the end of the season who are just going to be too expensive to renew. 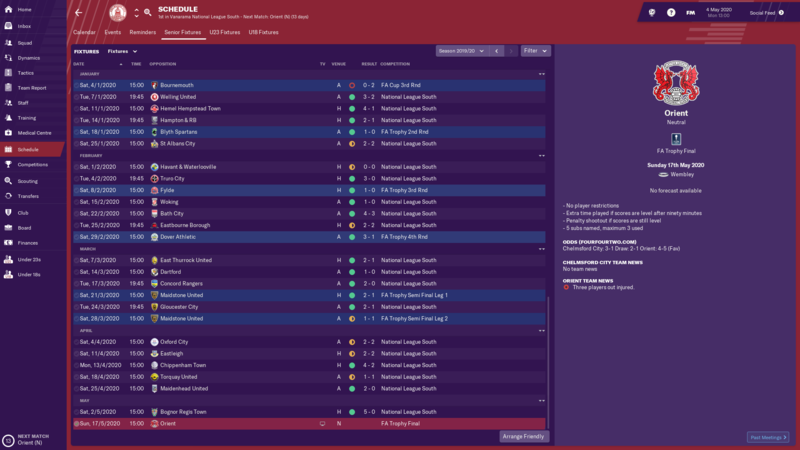 I have tried to tie a few players down to a new contract where possible and a non-contract if not, to keep them around if needed. Primarily, however, it is going to be a case of building the majority of the team up again. 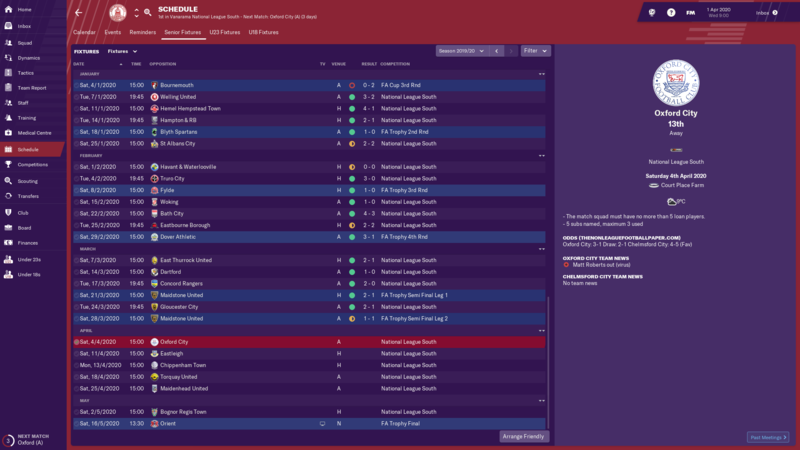 The end of my first season as a manager draws to a close. 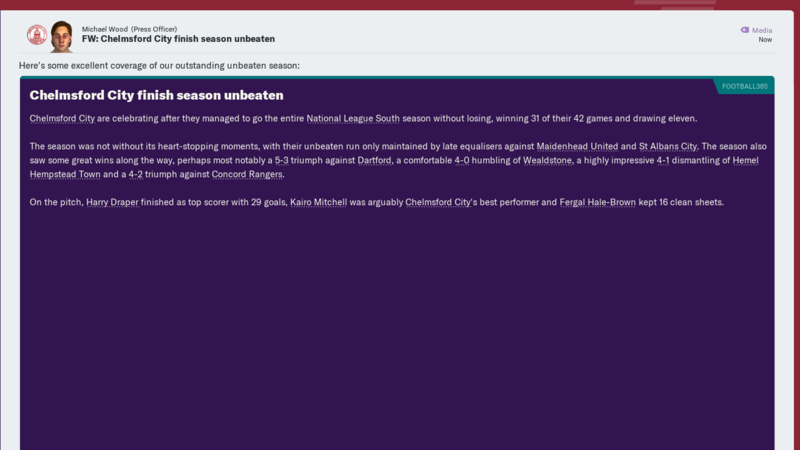 Winning the league is such a fantastic result, I can’t quite believe it! Having broken the clubs points record, wins record and highest position record the fans LOVE me and my position at the club is untouchable according to the board – they don’t even have any negatives! Ohhhhh we also remained unbeaten in the league meaning, up until this point, the only competitive game we have lost is against Bournemouth in the 3rd round of the FA Cup. It also meant that we completely ran away with the league, leaving a complete mile between ourselves and the rest of the competitors – I don’t expect such an overpowering outcome next year -They players believe we will be coming straight back down, but the board want a top half finish – ouch! The biggest game of the season came at the very end, 2 weeks after out final league game. Leyton Orient finished mid-table in the league above us and, whilst we massively over-achieved, the pressure of a final was always going to weigh heavily on the players. I think it is fair to say that Orient out-played us – more possession, more shots and simply more control. This makes me fearful for next year as playing teams like this regularly could cause us some real problems. The game ended pretty positively, however, as we pushed the game to penalties. And WON!! 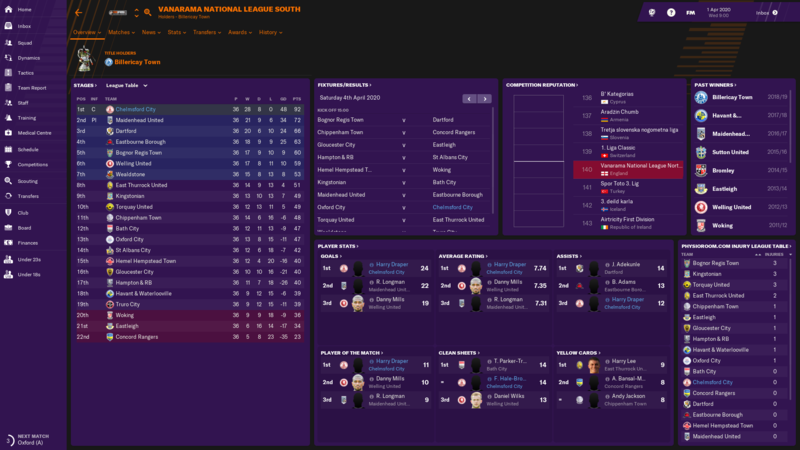 League and FA Trophy Winners in our first season – INCREDIBLE!! I am not really sure how to explain how we have managed to overperform so consistently. 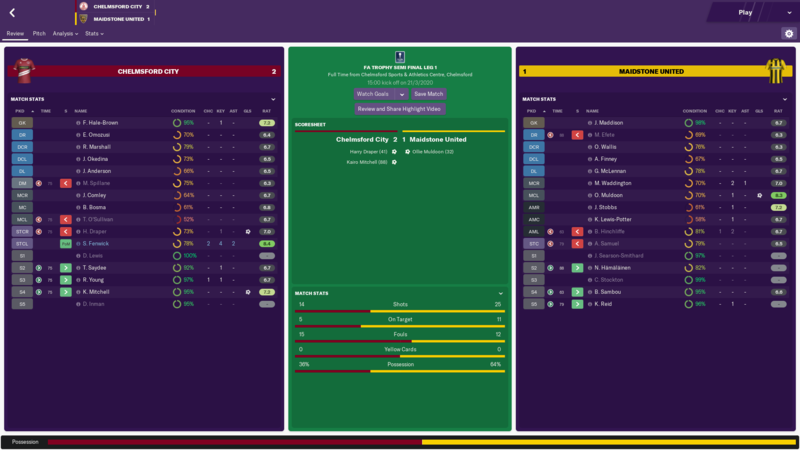 The team is average with a few good players (for Vanarama South), the results are too consistent to be purely lucky and tactics changed as required – perhaps things just clicked this year for the team! 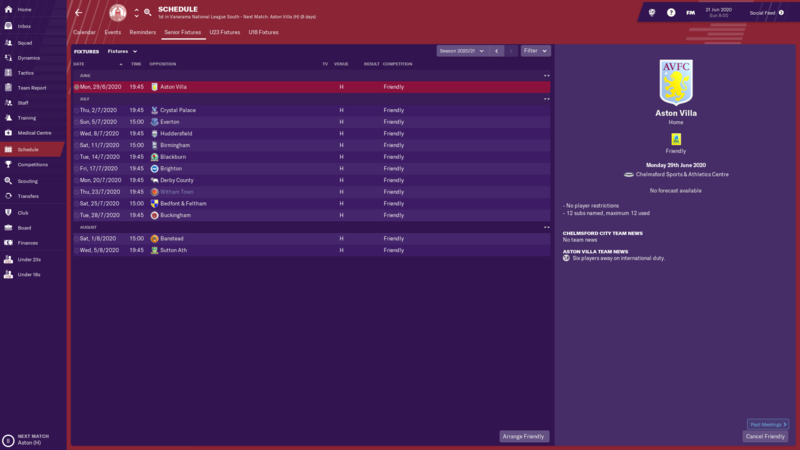 In preparation for next season I requested a meeting with the board where I asked for us to turn into a professional outfit – leaving me more time with players, and making us more attractive to players at semi-pro clubs who are outperforming but want to turn professional. Sadly the board turned my request down, a mistake in my eyes, but I don’t plan on being here forever so that is there choice. 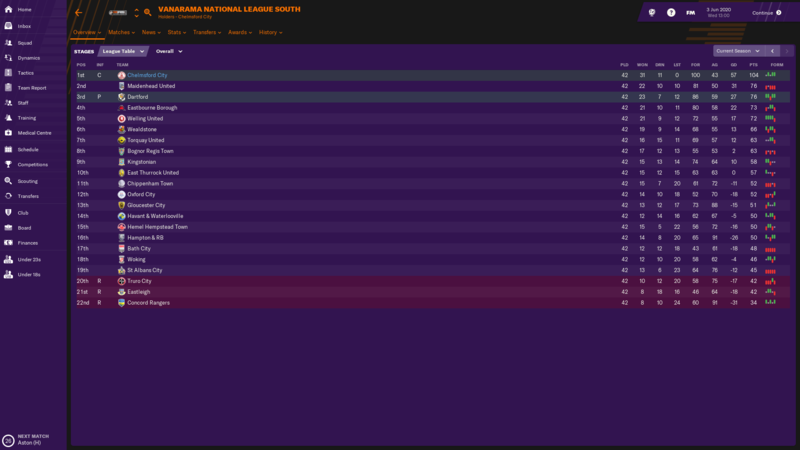 As I did last season, I have arranged for a large number of pre-season friendlies. Half of these are designed purely to bring in money and allow me to test trial players (who I will be making use of a lot again this year due to poor scouting knowledge). The remainder of these friendlies are against much smaller local teams allowing me to, hopefully, build form prior to the season getting underway; it didn’t work quite this way last year but it is worth trying again. 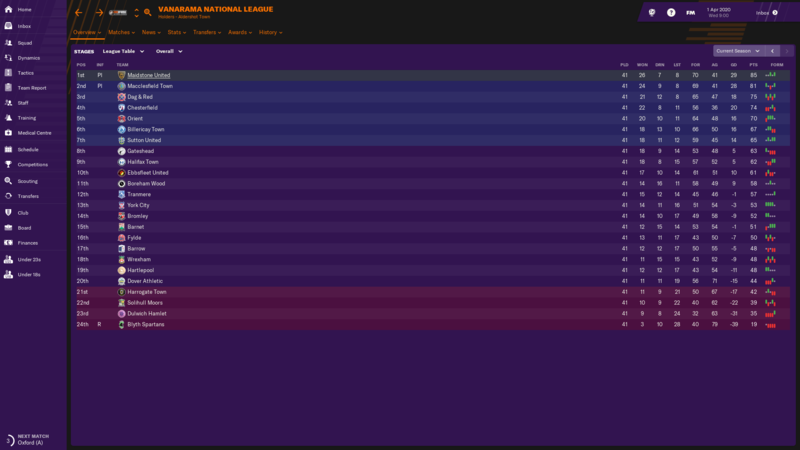 An absolutely fantastic achievement to remain unbeaten for the entirety of the league campaign. A slight shame that the board didn't allow you to become a professional club going into the National League; as the league is mainly professional outfits. However, hopefully it won't prove to impact you too much. A number of semi-pro sides have done well in recent years, such as Sutton last season. Incredible achievement to win the double, congratulations! You are reading "A Tale of Woe (Well hopefully not! )".